Wuxi local people love sweet food, so naturally the well smelled, soft and sticky pastry has become very popular among them. 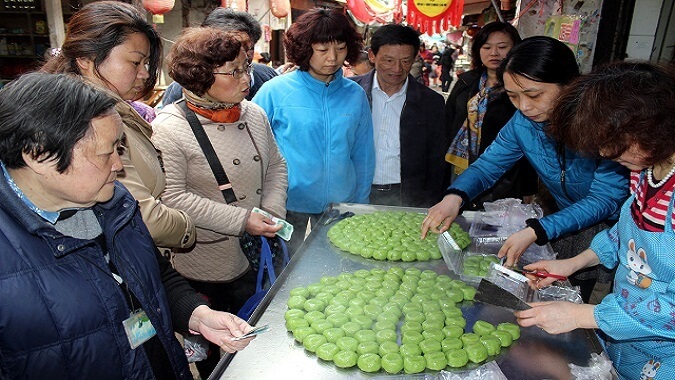 Wuxi local people love sweet food, so naturally the well smelled, soft and sticky pastry has become very popular among them. 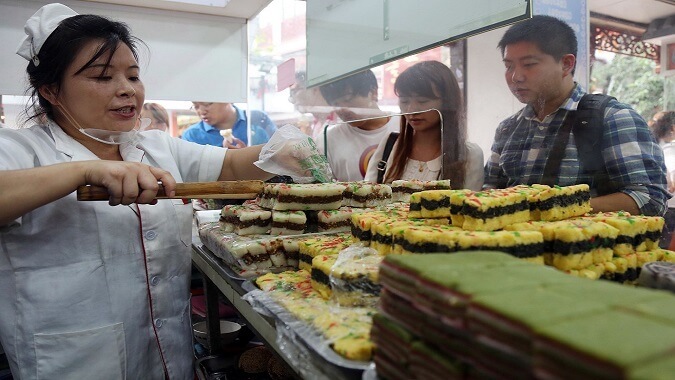 It can be said that the whole Wuxi is a kingdom of pastry, and the time-honored pastry shops covered all streets and lanes have accompanied Wuxi people to grow up for generation upon generation! Wuxi people can not live without pastry for important moments in their life: they use longevity pastry and cake for celebrating birthday for the old, the victory cake for erecting crossbar of new house or for relocation, honey pastry and bedding pastry when girls get married and the haircut pastry and one full year pastry when kids are one month old and one year old etc. 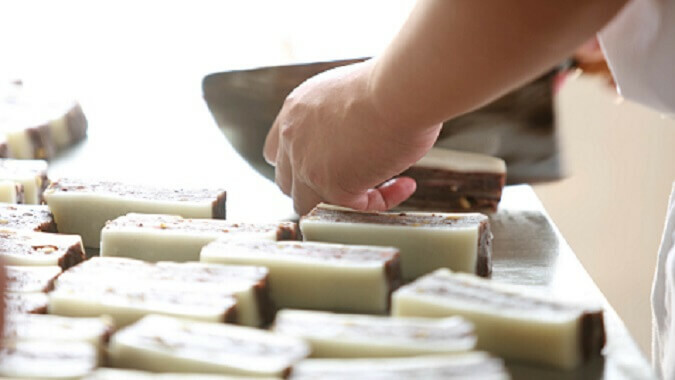 Pastry has run through all significant moments for the life of Wuxi people, then you can see that’s why they show passion on pastry which will never go away. The new year cake has four colors and four kinds of taste as white sugar, black sugar, wheat green and corn, and is fine, smooth but will not get sticky to tooth. Besides for traditional taste, it also provides lots of fancy pastry of various shapes. 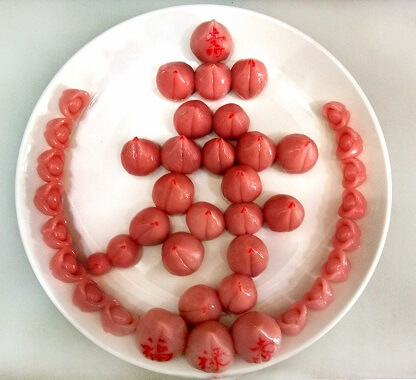 It supplies the various color pastry made by wormwood and pumpkin and wrapped with radish and meat stuffing, sweetened bean paste, sesame filling, or pure meat filling inside and is soft, sticky and well smelled. The Sanrang pastry of this shop is very famous, as it is made by hands only by using the juice of wheat leaves, emitting much faint scent; there are sweetened bean paste, sesame filling for green pastry and pure meat stuffing, turnip shreds stuffing for white pastry. 4.It’s a rice cake shop handed down from ancestors that can date back to the end of the Qing Dynasty, and the current boss has been the fourth generation of successor enjoying great fame. All workers in the shop are family members, and they sell pastry of three tastes only as white sugar, black sugar and red bean. 5.Dexiang pastry is one of the local featured products that people must buy at Dangkou Town. In the shop, you can see some aunts of practised hands are making pastry, so you can also enjoy the scene of making pastry while tasting the delicacy.